When you hear the word “porcelain,” you may conjure up images of a fragile, antique porcelain doll. In fact, it’s a common metaphor used across literary works to represent fragility. However, when it comes to porcelain tile, the material is anything but fragile. Porcelain tile is actually 30 percent harder than natural stones like granite and marble. It’s even stronger and denser than ceramic tile. That’s because it consists of a mixture of fine clays and minerals that is fired at extremely high temperatures — typically exceeding 2,400 degrees Fahrenheit, according to Shaw Floors. 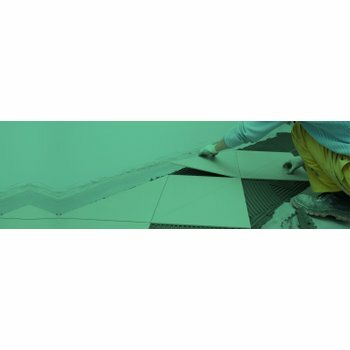 This results in an incredibly dense tile that is highly water resistant with a greater breaking strength than most other tiles. These attributes make it ideal for use in water-prone and high-traffic areas, like bathrooms and kitchens. 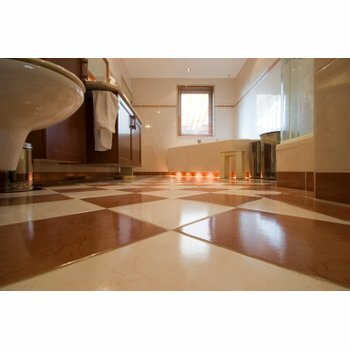 When installing porcelain tile in bathrooms or kitchens, it’s also a good idea to consider radiant floor heating. The kitchen and bathroom are the Top 2 most popular rooms for radiant floor heating for one main reason: tile floors are inherently cold! By warming up the tile, homeowners can ensure that the room doesn’t feel colder than the rest of the house. On the contrary, it will receive a boost of supplemental heat that makes the time spent in these rooms feel like a special treat. Porcelain tile can be installed right on top of an electric TempZone™ floor heating system. When using WarmlyYours Radiant Heating’s special Prodeso installation membrane, the installation can even be finished in one day. 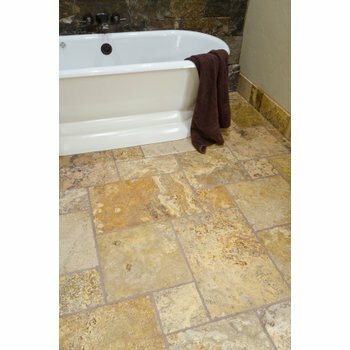 However, there are a few tricks to installing porcelain tile that differ from installing ceramic tile. Porcelain tile is heavier than ceramic tile. So, if you’re adhering porcelain tile to the wall, you’ll want to make sure you have an aggressive adhesive. Porcelain tile is strong, making it more difficult to cut. The extra strength of porcelain means you’ll probably need a wet diamond saw to cut it. Ceramic tile, by comparison, only requires standard tile tools to cut it. To help the tile adhere better, place the tile in the adhesive 2-3 inches away from where you want it to end up. Then, slide it into position. This will ensure that there’s a good coating of adhesive on the tile to help it stick. Porcelain tile is available in a range of styles, colors and sizes. It has the ability to mimic high-end marble and even wood plank floors. Demonstrating the popularity of this durable and high-quality tile, two tile manufacturers recently debuted new lines of porcelain tile. Shaw Floors introduced its Emperor line of porcelain tile, which uses advanced digital imaging to replicate the look of age-old marble. Similarly, Ege Seramik launched its new Grace collection, which uses inkjet technology to mimic the look of marble. The company also stepped outside the box with its new Road collection, which features the look of torn linen embodied in cement. Because porcelain tile is now available in so many different designs and sizes — and because it’s so resistant to stains, scratches and water infiltration — it’s become one of the most popular types of tile in the market. 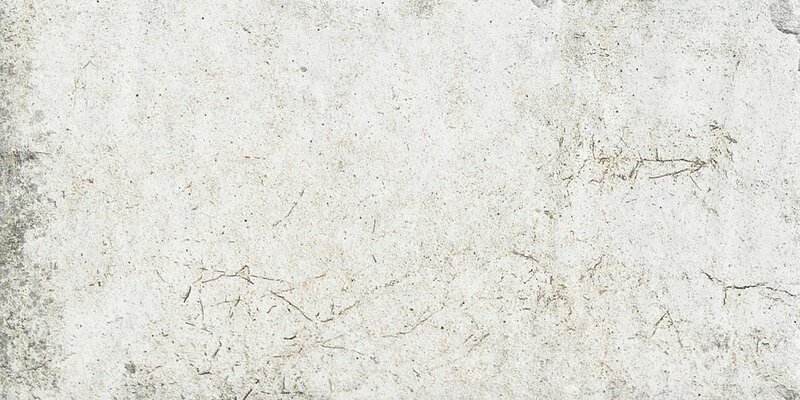 It’s typically a little more expensive than ceramic tile and can also be more difficult to cut, but if durability and high-quality aesthetics is what you’re looking for, porcelain may be the new gold standard.